The official CBS and Paramount websites. 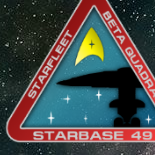 The Star Trek Wormhole is listing 578 links in 81 categories. links have been added or updated in the last 7 days.